A. Hanna & Sons known online as Hanna Pianos is a family run business in London. Hanna Pianos stock a number of pianos which have been lovingly restored in our workshop. They are exquisite instruments; each one with its own unique sound and touch. We stock a range of new and second hand upright pianos, as well as digital pianos / keyboards. 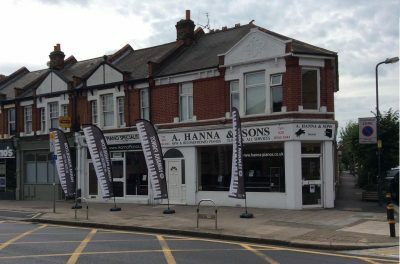 At A. Hanna & Sons we take pride in the many services we offer, from piano tuning to removals to restoration work. Restoration forms the core of our business, however we can do anything from minor repairs to a complete restoration and rebuild. We have restored hundreds of pianos over the years, returning each one to its previous glory but often surpassing it! Our showrooms are situated in Wimbledon, London, where we welcome you to come and view and try out our fantastic range of pianos; Cavendish Pianos, Yamaha Pianos, Steinbach Pianos, Bentley Pianos, Ritmuller Pianos, Steinway & Sons, Bluthner, Bechstein, Rich Lipp & Sohn, Steck, John Broadwood & Sons and many more pianos available. Our practice room is located towards the rear of our showroom. 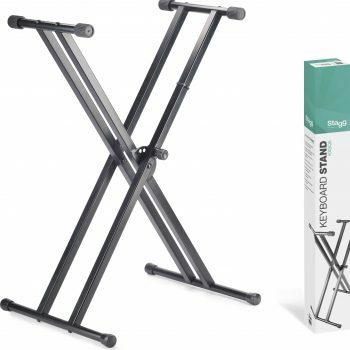 Please give us a call to discuss any queries you may have or visit our online shop to see what we have in stock. Welcome to A. Hanna & Sons Pianos (also known as Hanna Pianos). We are a family established piano business and have been in the UK since January 1990. Mr. A Hanna started in the piano business in 1960. His sons, Fadi and Chucri Hanna worked alongside him in a piano workshop for fifteen years. In 1987 Fadi Hanna moved to London to complete a Piano Tuning & Restoration Course as well as a Piano Technology Course at the London College in Commercial Road. 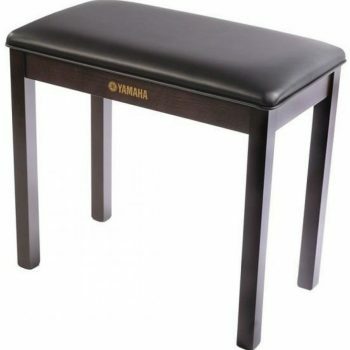 It was in January 1990 that Mr. Fadi Hanna established the A. Hanna & Sons Pianos shop in Wimbledon, UK. In 1992 his brother, Chucri Hanna, joined him in London also completing the Piano tuning and Technician courses at the London College. Since 1990 the A. Hanna & Sons Pianos business has grown and gained international recognition in the Piano Business with both Sales and Services, covering all aspects of pianos including sales of high quality pianos; Piano Tunings, Piano Removals, Piano Minor Repairs, Piano Major Restoration, Piano French Polishing, Piano Storage, Piano short and long Term Hire. A. Hanna & Sons provides exceptional service in sales of top quality new and secondhand restored pianos. We are Official UK Dealers of Yamaha, Cavendish, Steinbach, Ritmüller, Bentley, Steinhöven and Kayserburg pianos. 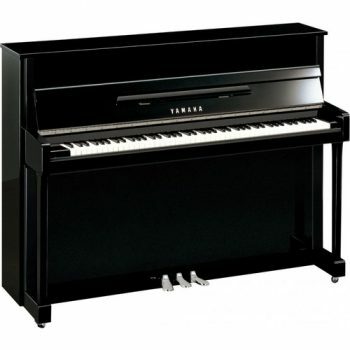 We supply Upright & Grand Pianoswhich are available in various models to suit all tastes and budgets. We also have fully restored, high-quality pianos available from Steinway & Sons, Bechstein, Rich Lipp & Sohn and Blüthner. 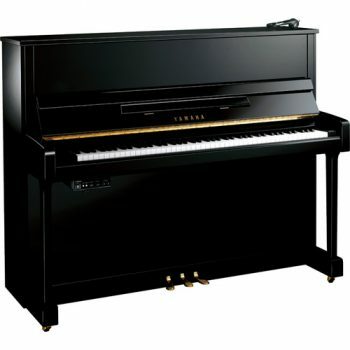 We will do our very best to provide you with the best piano to suit your requirements. Although we mainly provide piano services in London, we are happy to consider travelling to anywhere in the UK to provide you with any of the services we offer.